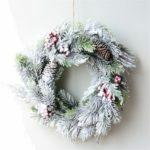 This pinecone wreath is a beautiful festive addition to your front door, foyer or any room in your holiday home. 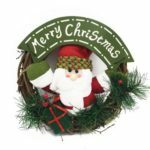 It can be used for parties, indoor activities, and all kinds of decorations. 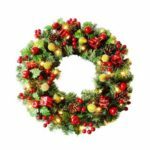 Measures 15.7” in outer diameter, decorated with faux Fall leaves and splattered berry branches, a great decor piece for Fall season. 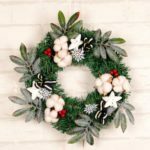 Display this decorative wreath outside all day long with no worry about the changing weather conditions. 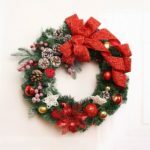 This outdoor fall wreath braves the outside elements with surprising ease. 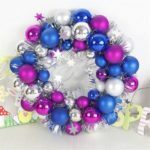 This decorative wreath is suitable for office or home, perfect for hanging on the door or the wall, suitable for indoor or covered out door use.